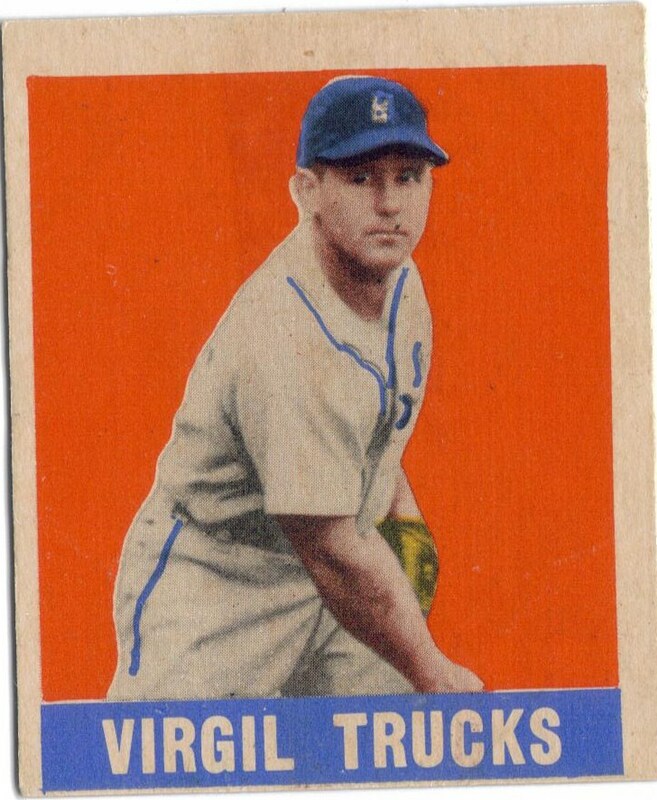 Congrats to William of Foul Bunt for snagging this hard-to-find Virgil Trucks rookie card, a short-printed #5 from the 1948-49 Leaf baseball set. 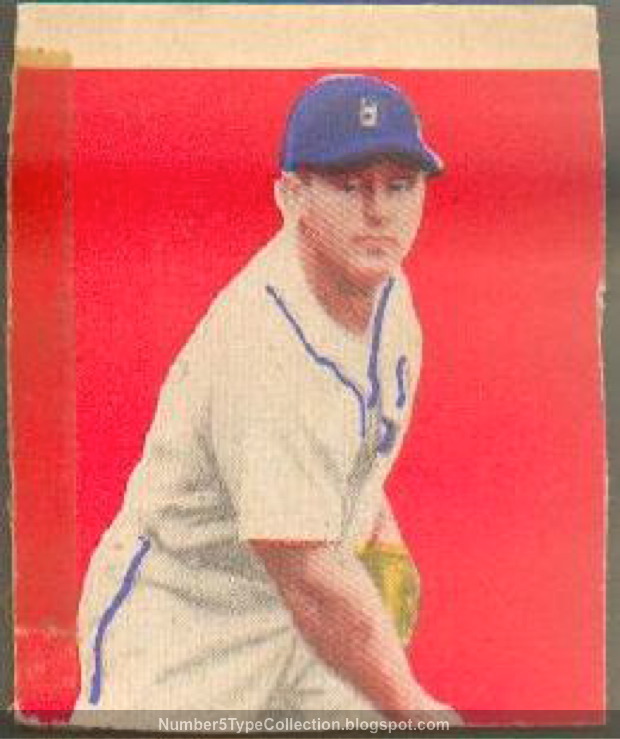 My own #5 takes up considerably less space, thanks to a youthful hack job (1948-49 Leaf Baseball set profile). Virgil also looks a little creepy, thanks to poor alignment of the print registers. 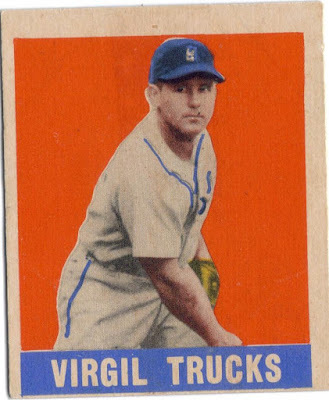 "Fire" Trucks (also called "Fireball" Trucks on his Leaf card) remains a ready signer for the price of a donation to his church, even at the age of 94. Foul Bunt's post adds more detail and includes a letter from Virgil. Nothing says "1984 was a long time ago" like hairstyles and television production. Fun to look at though. Thanks for the shoutout! I really appreciate it!